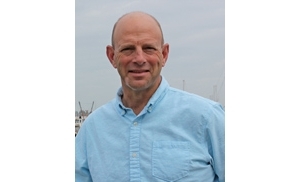 Small ship adventure cruise line Un-Cruise Adventures has hired Captain Mark Graves as the company’s port captain. Graves is based at the line’s Fishermen’s Terminal headquarters in Seattle. Ship masters working aboard the adventure cruise line’s eight vessels will report directly to Graves. All aspects concerning vessel team management, voyage planning and navigation standards are under Graves’ direct leadership. Graves will also work closely with the company’s safety officer to ensure a safe and secure environment for the company’s crew and guests. Graves reports directly to the company’s CEO. Graves most recently returned from a three-year sailing adventure with his wife, Michelle. They sailed their sloop along the West Coast of Mexico, across the Pacific to French Polynesia and island-hopped through the South Pacific Islands to New Zealand. Before leaving for his sailing adventure, Graves spent 22 years with Lindblad Expeditions serving as captain operating small ships throughout the Americas. He started his life aboard at Clipper Cruise Line as a deckhand and quickly worked his way up through the hawse pipe to chief mate. Outrigger Enterprises Group announces two key sales and marketing appointments with the promotion of Mary Loy to director of sales and marketing for the Outrigger Waikiki on the Beach and the hiring of Richard Oshiro as director of sales and marketing for the Outrigger Reef on the Beach. Both Loy and Oshiro will be responsible for planning and implementing sales and marketing strategies for their respective hotels across all market segments working closely with the revenue management team, corporate sales, advertising, public relations and business development to increase brand recognition and meet revenue goals. Loy has been Outrigger’s regional director of sales since 2002 and prior was sales manager at the Outrigger Reef on the Beach and front office manager and assistant hotel manager at the then Outrigger East and West hotels. Loy began her career at Outrigger as a summer intern in 1982 and held various positions in operations. Loy holds a Bachelor of Science in International Relations from the University of San Diego. 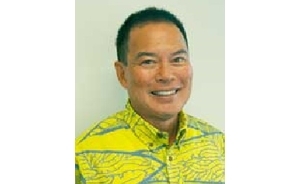 Oshiro joins Outrigger from the Miramar At Waikiki where he was executive assistant manager and director of sales and marketing. 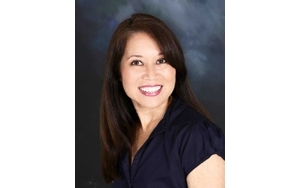 Previously Oshiro was regional director of sales for Westcoast Hotels; director of sales for Waikiki Parkside Hotel; sales manager at the Coconut Beach Hotel; and account manager at the Sheraton Makaha Resort and Country Club. Oshiro holds a bachelor’s in marketing from the University of Hawaii School of Business Administration. The National Hotel Miami Beach is pleased to announce the appointment of Chris Sanchez as the hotel’s new director of sales & marketing. Sanchez will oversee all aspects of the historic hotel’s sales and marketing efforts, while creating a new long-term strategy of sustainable growth, both domestically and internationally. Sanchez brings over 20 years of experience in the South Florida luxury market, to include Sonesta Hotels & Resorts earlier in his career, and later opening and introducing major luxury-brand hotels to the area like Mandarin Oriental Miami and Viceroy Miami. 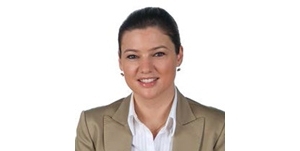 Saskia Schuller has been appointed director of sales and marketing, Raffles Praslin, Seychelles. Schuller, a German native with 19 years of international experience in the hospitality industry, joins the Raffles family from Kerzner International’s Atlantis The Palm, Dubai. Schuller was director of international leisure sales for Kerzer International, responsible for growing and maintaining the share of the European inbound leisure markets at Atlantis, The Palm, One&Only Royal Mirage and One&Only The Palm. Prior to this, Schuller was account director leisure sales at Kerzner International’s Regional Sales Office in Germany. 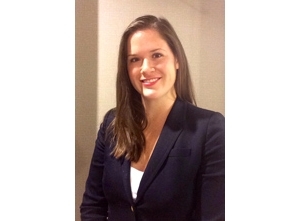 In addition to her experience with Kerzner International, Mrs. Schuller also brings further Sales & Marketing expertise from working for a number of other prominent hotels including Four Seasons Hotel, Hotel Breidenbacher Hof in Germany, The Mark in New York, Jumeirah Beach Hotel and Madinat Jumeirah in Dubai. Today, Travel Leaders Franchise Group announced that two of its longtime veteran employees have been promoted to key leadership positions within the company. Barbara Blattner, CTC, who has been serving as director of regional franchise consultants (RFC) since 2009, has been appointed as vice president of associate relations. Gloria Stock Mickelson, CTC, who has been serving as senior manager of training for the company since 2008, has been promoted to director of education services. After first entering the travel industry in 1992, Blattner joined the company in 1997 as a business development manager, the precursor to the Travel Leaders position now known as a regional franchise consultant (RFC). While she retired from the company in 2004, she rejoined the organization in 2009 as director of the RFCs. She has since developed consistency in RFC consulting and associated tools that are offered to agency members. Stock Mickelson first joined the company in 1988 as manager of training, and she was promoted to senior manager of training six years ago. In addition to more than a quarter century of service to Travel Leaders, she also serves as president of the Upper Midwest Chapter of the American Society of Travel Agents (ASTA), the trade association for U.S. travel agents and agencies; last September, Stock Mickelson was honored nationally by ASTA for her advocacy in defeating a proposed sales tax on travel agency services in Minnesota. Air New Zealand has appointed two new East Coast-based sales managers to the airline’s expanding North American staff. Erika Brum has been named corporate sales account manager for the Eastern United States, while Caroline Alberts joins the company as a Leisure Sales Account Manager in the East. Based out of the New York-New Jersey metropolitan area, Brum brings with her 12 years of airline industry experience, including roles in similar capacities at both Japan Airlines and TAM Airlines. She is a native of Rio de Janeiro, Brazil. 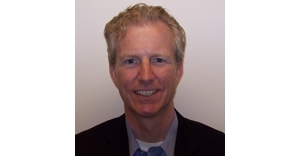 Alberts is based out of Boston, MA and joins current Account Manager Hank Marques in the Eastern region. A graduate of Boston University, she previously spent three years in sales and marketing with JetBlue and then moved on to Icelandair handling trade sales in the Southern United States. Lynn Clark has been named vice president, Travel Agency Sales and National Accounts for Walt Disney Parks & Resorts. In this role, Lynn will provide strategic direction and leadership to Disney’s Travel Agency Sales and National Accounts teams. These teams are responsible for revenue production from USA-based travel agencies and national accounts for the division’s domestic products, including Walt Disney World Resort, Disney Cruise Line, Disneyland Resort, Aulani and Adventures by Disney. 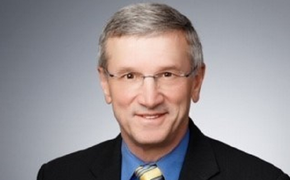 Clark will report directly to Kenneth Svendsen, senior vice president, Global Sales. Clark’s most recent role was director, Destination Sales, On-line Travel Agents, and Wholesale, supporting Disney’s domestic theme parks, Aulani, and Disney Cruise Line. A travel industry veteran, Clark represents the Disneyland Resort as a member of the California Travel board of directors and the Orange County Visitors Association board of directors. Prior to this role, she served as director of Global Sales at the Disneyland Resort from 2005 through 2010. In this role she led teams in the key sales areas of domestic and international wholesale, destination sales, on-line travel agents, retail, corporate ticket, military and youth group sales. Before this, Lynn was the sales division's travel industry and hotel product director, where she worked with Walt Disney World counterparts to implement retail travel channel initiatives for Walt Disney Travel Company and Disney Cruise Line while also developing off-site hotel product for Walt Disney Travel Company California. As manager, National Accounts, Lynn oversaw the travel agency national account relationships supporting Disneyland, Walt Disney World, and Disney Cruise Line. Lynn has worked for Walt Disney Parks and Resorts since 1996. She was a member of the Disney Cruise Line opening team, joining the company as a district sales manager in Southern California. Prior to joining The Walt Disney Company, Lynn worked for Royal Cruise Line as an onboard passenger service representative and district sales manager. She is a Phi Beta Kappa graduate of the University of Colorado with majors in French and Spanish. Lynn currently resides in Southern California. Clipper Vacations is pleased to announce that David Gudgel has recently joined in a newly created position, as vice president of business development, reporting to president and CEO, Darrell Bryan. In this role, Gudgel will be responsible for the development of key strategic growth, product distribution and passenger service enhancement initiatives. For over 20 years, he has served in key roles in the Pacific Northwest, Alaska, Caribbean and Europe travel markets in cruise, transportation and international package travel segments. He has experience in both large and small organizations, starting his career with Holland America Line and most recently working with Europe Express, an outbound tour operator specializing in custom group and individual travel.